Until a few years ago, the study of human body was a task for doctors. 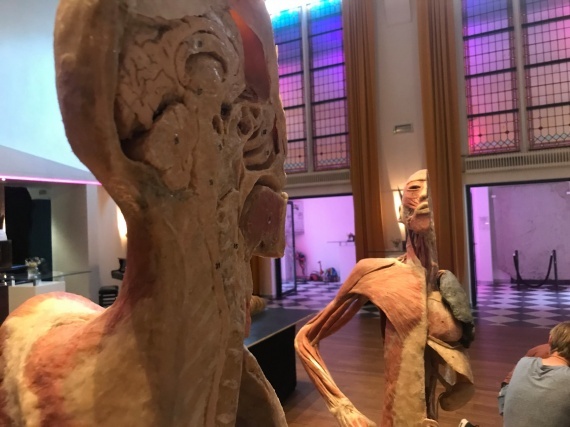 Nowadays thanks to the discovery of the plastination and to the exposition of anatomical parts in public exhibitions, everybody can get an idea of it. Bodies Exhibition consists of 250 anatomic showpieces, human skeletons, tactile models and casting forms. A special attention is given to cancer: 15 different kind of them will be exposed and explained. Multimedia presentations and educational tables inherent in the human body will give important scientific knowledges. It will be possible to have scientific news about organ donations, cancer, AIDS,alcohol and nicotine.